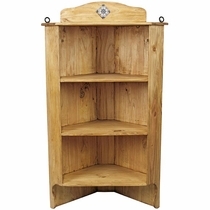 Our rustic bookcases and shelves are handcrafted from solid, kiln-dried pine and will enhance any rustic decor in your home. 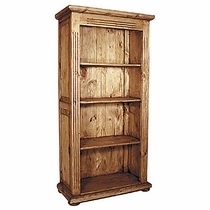 These classic Mexican pine bookshelves and bookcases are right at home in any rustic theme, including, Mexican rustic, southwest, rustic ranch and Santa Fe styles. 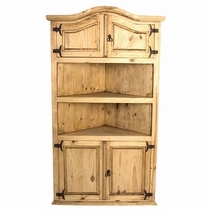 Hardware features include rustic iron drawer pulls and rustic iron hinges. 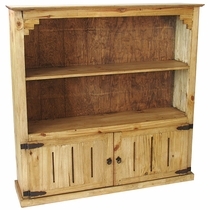 All hardware is made in Mexico from hand-forged iron and has a rusty brown appearance. 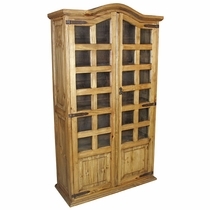 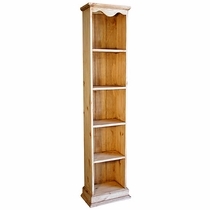 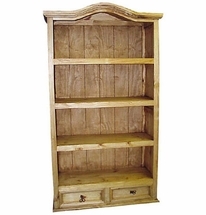 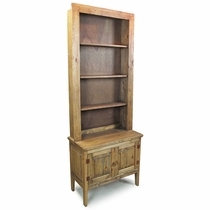 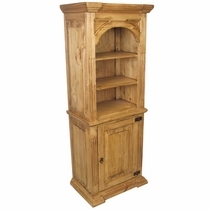 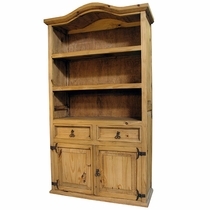 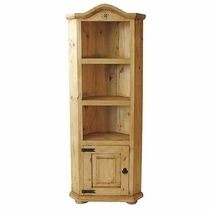 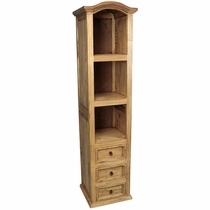 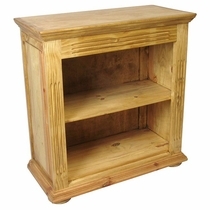 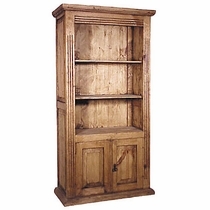 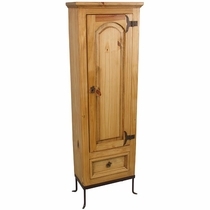 See our Rustic Painted Wood Bookcases, & Cabinets.